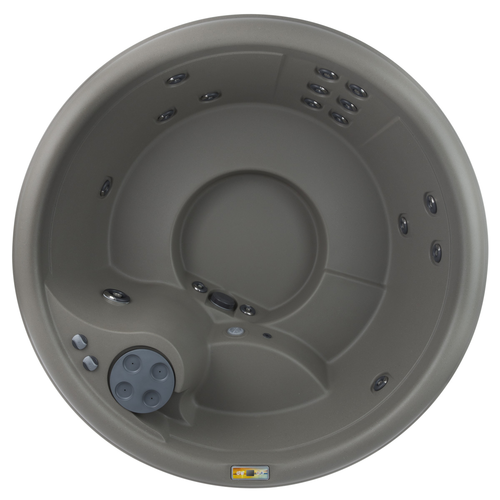 Dimensions 0' 0" x 6' 6" x 2' 9"
The Splendor features barrier free seating perfect for a solo soak or conversing with five of your closest friends. 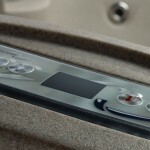 The built in diverter value allows you to get a personalized massage from the jets or enjoy the whirlpool feature. Feel your tension melt away as you satisfy your senses by watching the multicolored LED light illuminate the warm water. 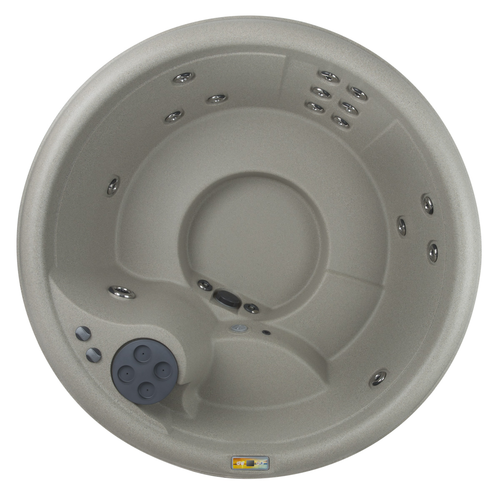 Our Turbo Whirlpool Jet creates an unmatched swirling water massage. The boldest performance of any jet, anywhere. Control your jets, light, and temperature with the touch of a button from the easy-to-use top-side control panel. 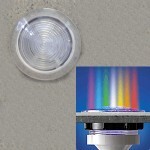 Topside electronic controls provide a convenient way to command temperature lighting and water flow pressure. Transform your spa with brilliant, ever-changing colorful effects. Eight solid colors and two multi-modes. The filter basket on Fantasy™ Spas now has the option to accept a Silver Ion Cartridge to help improve water clarity and the ownership experience. 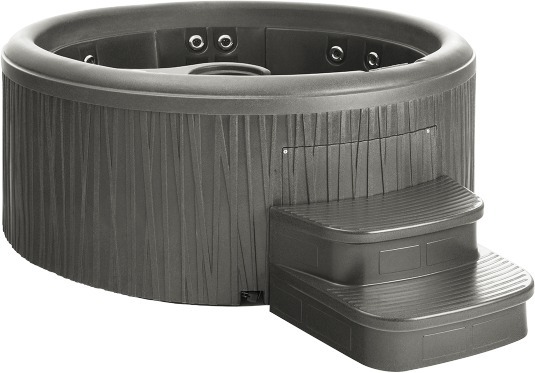 This optional ozone system can be added to any hot tub model to help keep your water sparkling clean. 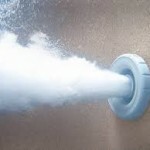 Automatically mixing ozone into the water during daily use and cleaning cycles, this system keeps your water cleaner, clearer, and reduces the need for chemical use. 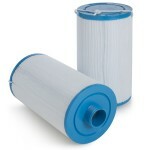 Top-loading filters are readily accessible for quick cleaning. Enjoy a safe, healthy spa environment without the hassles. XP2 Jet Pumps by Gecko easily outperform other comparable pumps on the market and allow these hot tubs to offer superior overall performance and enhanced energy efficiency. 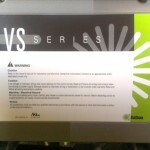 This heating system is incorporated into the world renowned Balboa VS Series control deck. 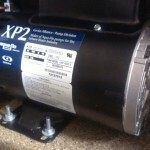 These highly reliable, energy efficient, long lasting components are among the industry's leaders. 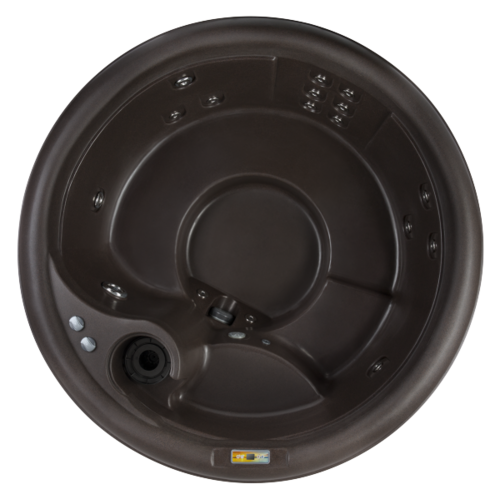 RokSolid™ advanced Polymer shell provides a surface that is easy to keep clean. Simply wipe it down as needed. Create a safe and elegant entrance into your spa. Designed to match the exterior color of your spa shell. Our cover lifters mount easily to your spa and are a great solution for positioning and storing covers away from the spa while in use. 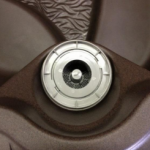 Talk to your local dealer about which cover lifter is right for your spa. 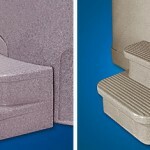 Insulated covers are available to match your Granite, Sahara, or Arctic shell color. 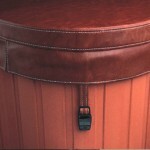 With Locking safety clips.